The beauty and quality of the landscapes in which our sites are established are major assets for drawing in activity. Preserving the environment and valuing local, natural riches is part of the Group's know-how. During the design phase: ground plans of the sites that include biodiversity aspects, detailed inventory of the fauna, flora and inhabitants throughout the seasons, preservation of existing hydrographic lay-outs, choice of plant-based fuels in natural habitats, upkeep or restoration of wildlife corridors, etc. During the implementation phase: adapted management of green and natural areas, reduced use of phytosanitary products, follow-up by a naturalist, customer awareness, etc. With a total of 282 tourist sites, our Europe-wide range of accommodation enables us to offer local holiday areas, easily accessible by car or train. With a view to reducing our environmental impact, measures are taken from site construction to opening: construction specifications that meet demanding certifications and labels (HQE, THPE, BBC, etc. ), water and energy consumption is managed, as is waste production, teams are trained and made aware of the issues at hand, operating sites are certified and awarded environmental labels (Clef Verte, ISO 14001, etc.). Activities to do with nature, such as "When I grow up", organised in Center Parcs villages. These new projects take the Group's desire to offer environmentally-connected holidays even further. The Bois aux Daims Center Parcs village now offers discovery activities revolving around woodland animals. The iconic Villages Nature® Paris project is based on the idea of harmony between people and nature. The seasonal nature of tourism, combined with the geographical scattering of our 12,500 employees throughout five different countries and the diversity of our trades mean that Human Resources requires flexibility and team mobility. This means the Group has even more responsibility added to its dynamic human resources policy, with a view to pursuing an objective that is common to all Divisions: customer satisfaction. We are convinced that customer satisfaction is the result of employee satisfaction, and the well-being of our staff is a fundamental part of our HR policy. The results of the Happy@Work study, conducted in 2014-2015, revealed an overall employee satisfaction rate of 77.5%. 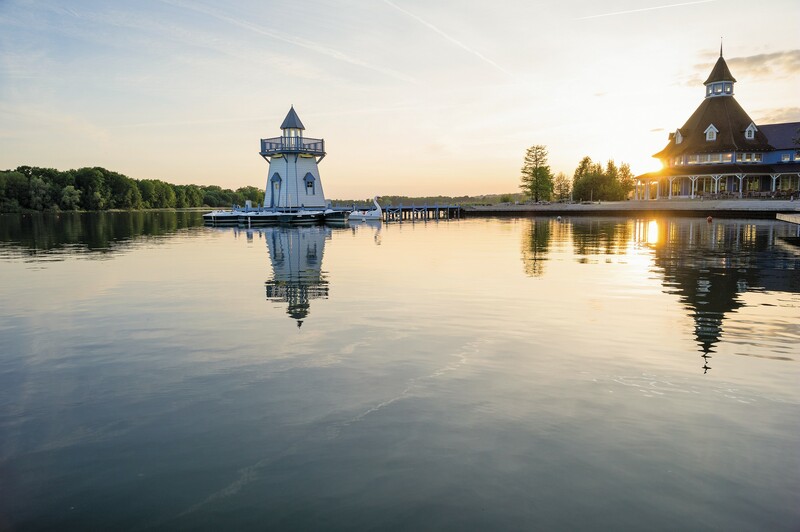 For the third year running, Center Parcs Netherlands was awarded the Top Employer national label. The Group's performance in terms of Sustainable Development is becoming more and more concrete on our operating sites, thanks to the integration of real actions within each sector. In addition to the water and energy consumption monitoring tools, the BEST! sustainable development management system was installed to establish an action plan and mobilise teams regarding 16 of the Group's major challenges (maintenance, training and team/customer awareness, etc.). 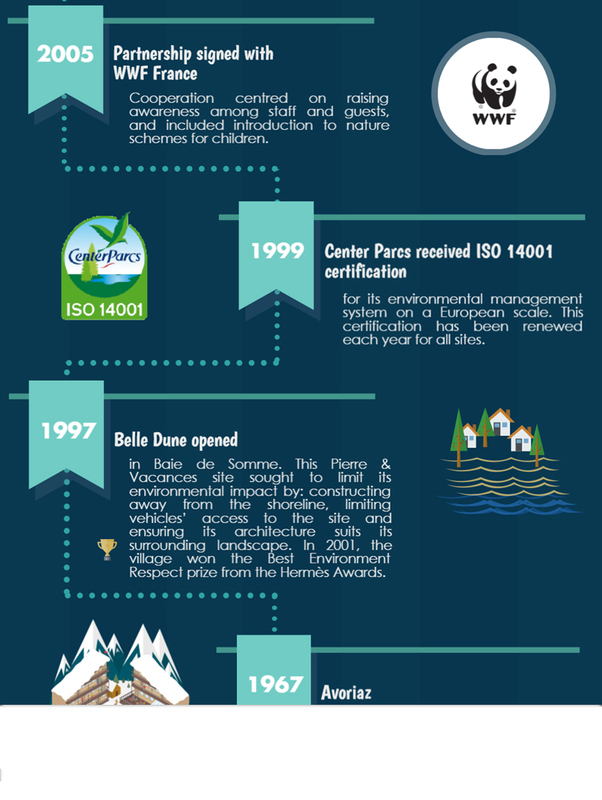 30% of all operating sites have an ecolabel or environmental certification: 68% of our Adagio Aparthotels have the EU Ecolabel, 46 Pierre & Vacances sites have the Clef Verte label, and the Center Parcs environmental management system is ISO 14001 certified. For purchases made during the construction or operating phase, a cooperation with local companies and SMEs - in collaboration with the Pacte PME association - has been agreed. 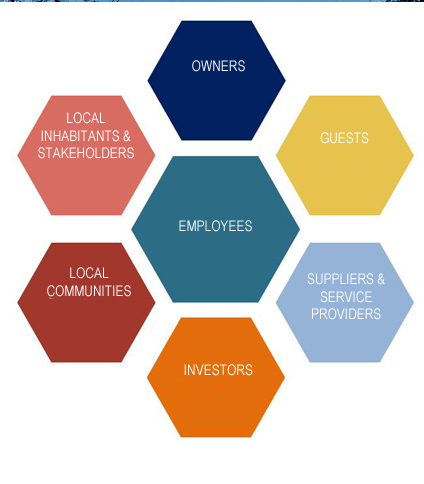 Being part of local economic dynamics thanks to the jobs created by our sites and the purchases required for operation, highlighting each region's cultural assets and creating strong relationships with the local communities are important issues for the Group. During the construction of the Bois aux Daims Center Parcs in the Vienne region, 71% of all construction purchases were made through local companies. Operating the Trois Forêts Center Parcs in the Moselle region generates 885 local jobs, 610 of which were on-site and held mostly by local inhabitants.